Dr. Eragupillai Kangesu, aged 88, passed away peacefully at his home in the UK surrounded by his loving family on 9th April 2019. 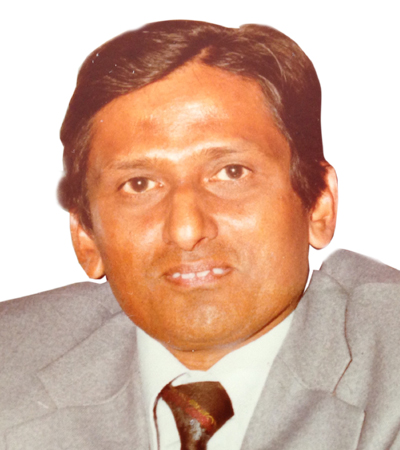 Kangesu was the son of Eragupillai and Nagammah and was born in Nainativu, Sri Lanka. He is survived by his wife, children, grandchildren and brother. Rest in peace Uncle Kan. You will be really missed by all. Pathma and family Our Sympathies. May Kan's Soul return and be in peace with the Source. Thanks for your long years of friendship,a very calm , knowledgable, kind and helpful person. You are in a better thoughts are with your family and friends,may your soul rest in peace. RIP Uncle Kan, my thoughts are with your family. RIP. Share the grief with the bereaved family. Nephew of Late of Batticaloa and my wife's Tellipalai. RIP Doctor. Our heartfelt condolences and share the grief with the bereaved family. Late nephew and my wife's MOH at Tellippalai. RIP ANNA ;my heartfelt condolences and sympathises to the family. We would like to offer our deepest and most sincere condolences and may is soul rest in peace. May the comfort of God help you during this difficult time. RIP. Dr. Kangesu , grand son of nainativu Udaiyar Saravanamuthu, Son of Eragupillai , brother of Param, Vamadevan, Thiyagarajah and Sundhari. From nainativu ward , Nalam pulliyar veedu. Dearest Kan, Rest in Peace now. We will never forget you dear friend, the kindest, generous and most sincere best friend one could have. With love. Christine. Rest in peace dear Uncle Kan. We will cherish the special memories that our families have shared over the years. You will be deeply missed Uncle. We will always remember your kindness, warm hospitality and your advice so readily given to further our professional lives. We really miss you. Rest in Peace. Rest in peace dear Uncle Kan. Thank you for the lovely memories you created for us. We will miss you, especially the ever present warm smile. We will be missing you anna/uncle, especially the chats and giggles. Rest in peace Om Shanthi! Rest in peace Uncle Kan, we know you have gone to a better place. Your memory lives with us and especially with the children.